The few Malaysian who made the cut were found at the bottom half of the leaderboard on this Minor Asian Tour event.This is the home for all yet guests found the venue to be more friendly.Why?How ? It is time PGAM, PGM,Ministry of Sports ,Tourism come forward and give a hand to the local pros in terms of venues to practice and sponsorship so they are not part-timers. Golfing industry can rise only when the locals play good golf,When the golf industry rise Golf Clubs and the whole industry benefits finally the nation too.Wake up Malaysia. MALAYSIA --THEY NEED BASIC SUPPORT. We heard another loud voice- Malaysian Golfers are petted.When asked please be specific he had no clear answers .When told they have no COURSE even to practice he was shocked. Yes at junior level one can say, they are petted ,mainly in the form of theoretical techniques of golf trying to push down the throat ,when the fact is loud and clear.Skills cannot be bought nor sold nor passed on free.Skills must be acquired. For skills to acquire, spirited pros must be provided basic facilities .Venues to practice not with buggies not with discounted green fees. BUT FREE WALKING- WALKING COURSE. Future of Malaysia- When asked why???? 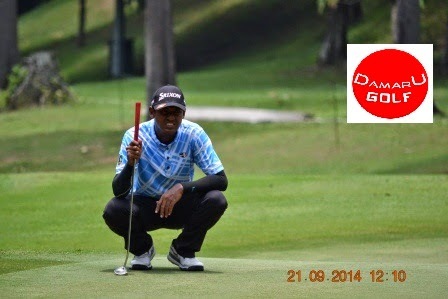 Damaru Golf Malaysian Chapter asked these future golfers why the Malaysian pros are not in the scene? They first wondered and said not enough practice? Practice? Where do they practice ? "Well Kinara" was the reply one gave to which Damaru responded "No it is not free for the pros". 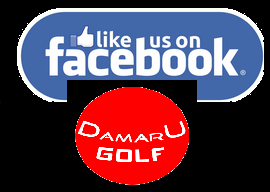 Another responded "Sri Selangor" to which Damaru Golf informed them that Seri Selangor is not free too. They were surprised! Shocked to know that Malaysian golfers have no course to practice! Besides they were even more disappointed when told most Malaysian pros have no sponsors hence they need to work in part-time jobs, as tournament earnings are not sufficient to make a living. They were disappointed and were probably wondering whether golf is worthwhile as a career - unless their Dads and Moms have the spare cash to send their way in abundance.Malaysia Pors are not true pros as they are part timers . Thai companies are loved by the Thais who are being supported all the way their inner spirit of becoming champions.Thais have a huge line of champions, coming one after another. Thai exclusive golf clubs are patriotic and they love to see Thai golfers in front of Asia. They understand that as a whole, when the golf industry does well, Thailand benefits. Why? How? More winners equals more golfers and so better business. Malaysian golf clubs are closed to professionals of Malaysia. With no course to practice and with no funds to pay green fees and not being able to walk in, how can they ever match the Thais? Rich tournaments are held in Malaysia, unlike adjacent countries. And these rich Malaysian tournaments are really benefitting the golfers of adjacent countries more than the Malaysian golfers. Time to wake up Malaysia.